Hello! I am working back through some wonderful experiences I would love to share with you extending back this fall. The first was a month ago, the Great Midwest Balloon Festival. Normally held in August, but this years’ later time gave us opportunity to view the pretty leaves of fall in addition to the pretty balloons. I am pretty much a sucker for quiet events, balloons, fall, outdoors, the park. I see balloons as “quilts in the air”. So pretty color combinations, I see bargello style ‘quilts’, applique, chevron, patchwork, jelly roll stripes all sorts of quilts and styles up in the sky. There is usually a big festival with rides, vendors, food, competition. Every year since I have planned attending, I have gone on my own for the morning competition, rather than viewing the pretty balloon glow that draws so many others. This year, the balloon festival was near last year, on the west side of the city, near the speedway, but actually closer to our annual permanent location of the Renaissance Festival grounds. The first day of the festival was misty and windy so it was cancelled for the early morning part of the day, not reopening until the night glows on Saturday. Sunday morning, rather than head to the crowds, I took refuge in the local next door county park. It was so beautiful. The balloons had to travel past the park to head to the festival grounds. I originally hesitated heading to the park due to the presence of “many people” on the southern park entrance that were racing a 5K blocking that entrance. Luckily, I got brave enough to try a more northern entrance, so I wasn’t doomed to see the pretty “sky quilts”. I tore through the park, under the trees, walking to an “upper ridge” area in the middle of some kind of cross country track in the middle of the park grass. From my vantage point, I could hear the hot air balloons pass over me. The black balloon with the rabbit, carrot, and parrot was “right above me” poking out of the trees, a little behind where I chose to stand for most of the morning. I remember feeling in awe of that hot air balloon. I saw balloons coming from the east of the morning, using the trees as interesting frames for some of my shots. I have some close pictures, some far pictures. I snapped many versions of the same picture, just seconds apart, just to ensure I got a good picture. I kept wishing I had a DSLR. Some balloons I have multiple full-on shots of, a few of the more interesting ones were out of frame a little to the south. I found I liked staying in one general area. Another “park photographer” had set up not too far from me, and both of us were looking around behind, in front, to the side, trying to get the best of the morning. Later in the morning, before the last of the balloons, I ventured near one of the park shelters. This got me a picture of a couple of balloons nearby the structure too. I tried to zoom and tried not to zoom sometimes to get the bigger picture of the hot air balloons. Sometimes I get a sense of the hot air balloon movement by looking at three consecutive pictures taken right after another. I took way more pictures than I ever posted. It was so beautiful and magical! Stay tuned and I will talk about actual quilts soon. I have several things to share! I did a tiny bit of good in the world, and I got something nice too. At work there was a craft table full of blankets, scarfs potholders, jewelery, and a portion of the proceeds of the sale go to Leukemia & Lymphoma support. I didn’t make anything (didn’t know about it before hand really too much), but I did buy two items. 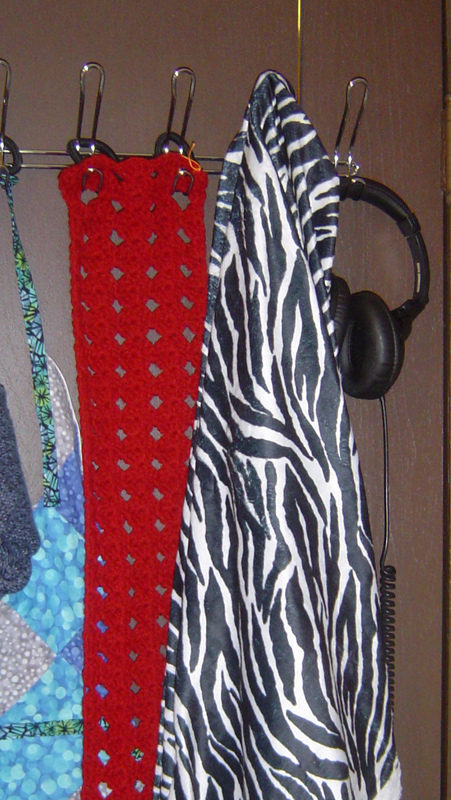 And since I decided I’m not a crocheter (anymore) that I will really like using these items this winter. I now have a new hat & scarf combo, each bought separately. I’ve never had a hat with so many holes before, so I am hoping I don’t decide to line it with some wild animal print soft fabric I bought at Hancock fabric. It is nice & soft and I haven’t known what to do with it. But how does it look as a potential lining? Hmm. Maybe not. Yes, my head is down looking at the floor. One of the weirdest photos of myself, if I do say so. Click on the Episode to listen to my Top 10 reasons for not posting. As always, the home sewing front, notes about my commenters, and this week, the LQS. Congratulations to the winner of the Moda Charm Pack Giveaway – Vicki. Vicki has a pottery business and is enjoying her hobby of quilting. 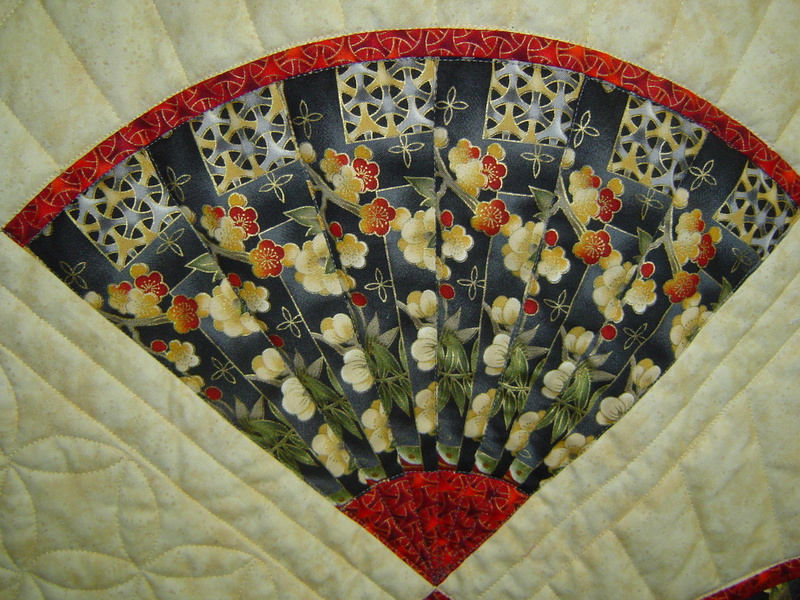 Vicki suggested that she could make a charity quilt with the moda charm pack, and even talked about mathematics in music in the comment. Her name was randomly drawn by my overly complex system and it happened to correspond to lucky number 13, which also happens to be the number for this podcast! And the Moda Charm Pack also happened to be titled Collection for a Cause, so it was very wonderful to see all the stars aligning for this one giveaway. 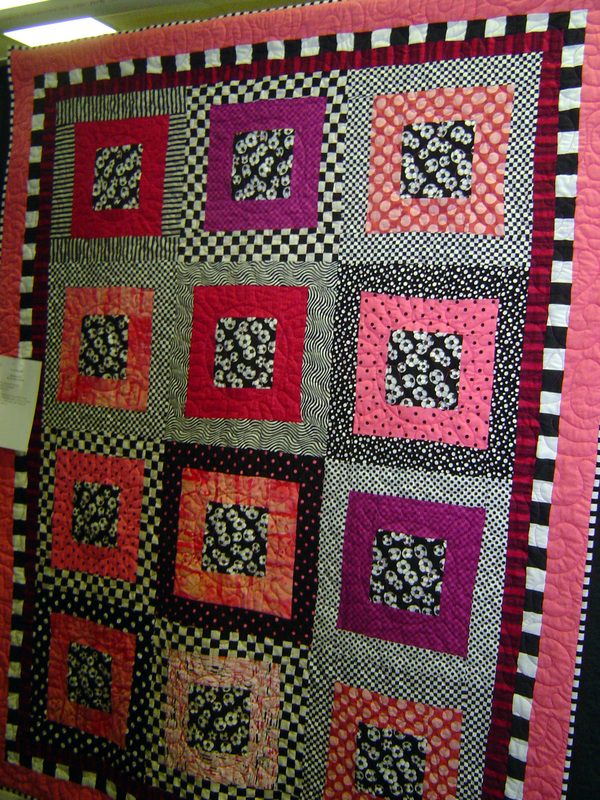 Here is a mouse’s eye quilted by Vicki. Look at all the subtle shading and color variations and block shapes! Typically the words LQS stand for (in the quilting world) Local Quilt Shop. 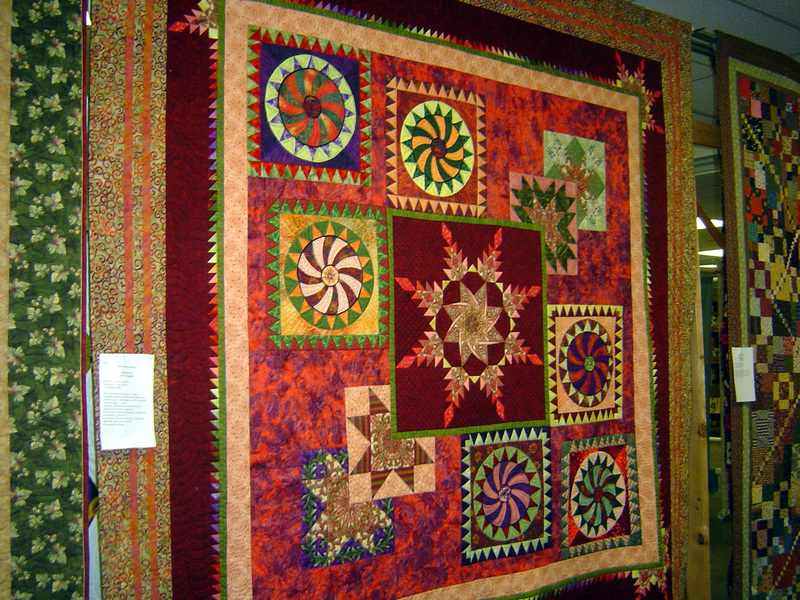 But I can take that to mean Local Quilt Show, or even (though not correct exactly) Lawrence Quilt Show. 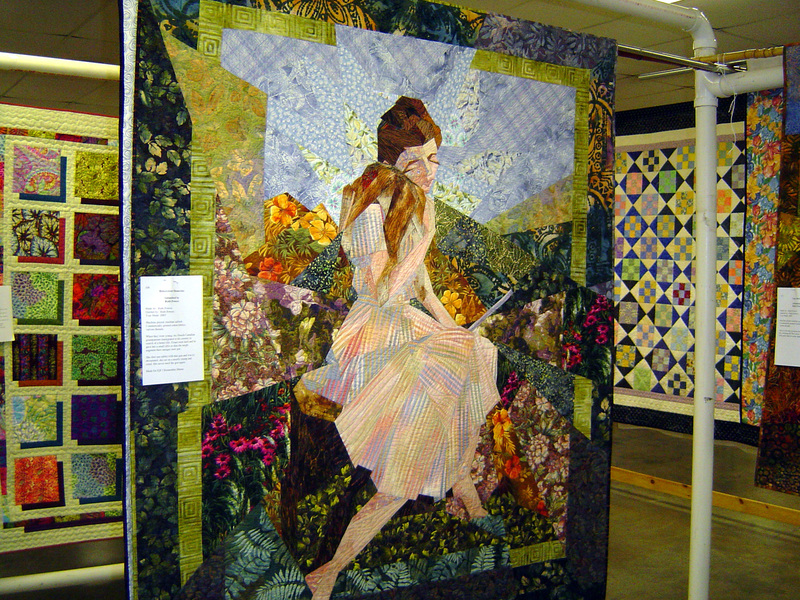 Yes, my friends, I finally got to attend a local quilt show put on in the city of Lawrence, KS (hence the Lawrence Quilt Show) by the Kaw Valley Quilter’s Guild. Everyone has a story. 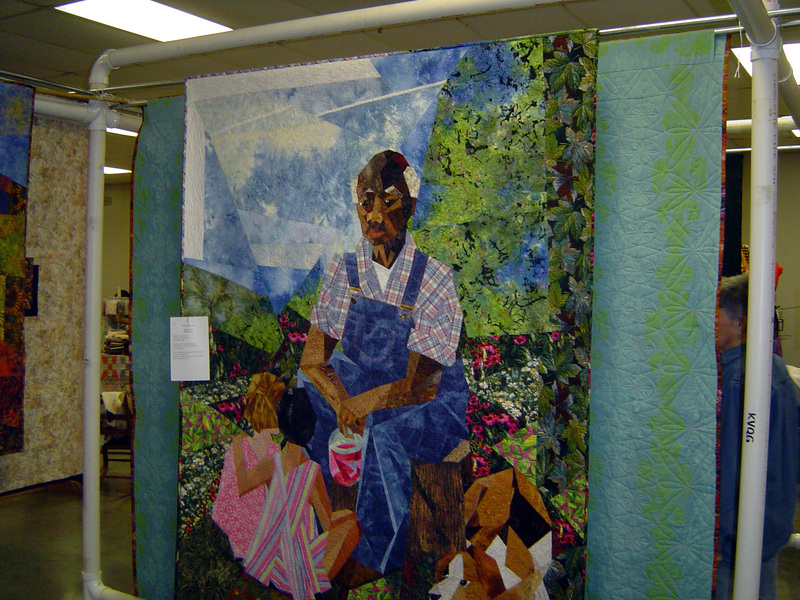 Quilts have a story, vendors have a story, quilt show audiences have a story. Seeing other people’s quilting and piecing ideas and techniques give you confirmation that you’re actually on the right track. 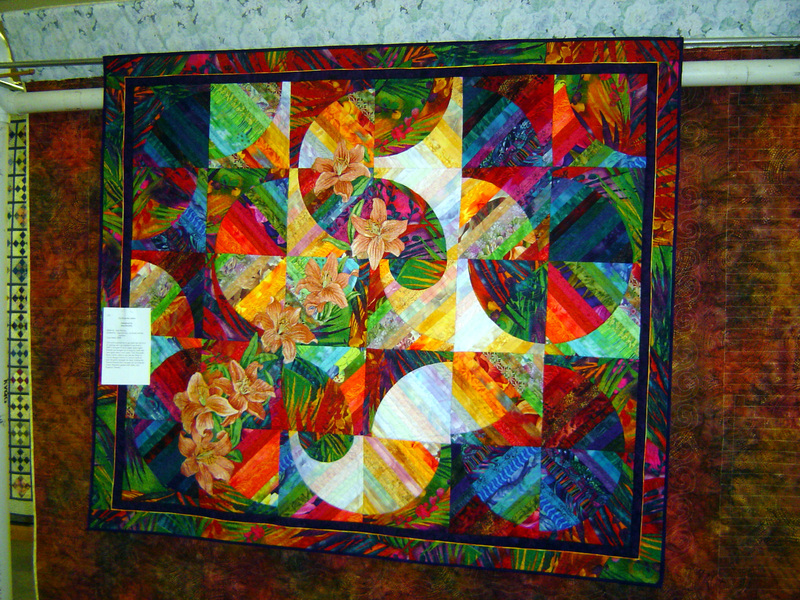 You can see the quilts that people are drawn to, figure out what you like about it, and compare to your own quilting and piecing designs. If you can draw similar relationships in colors, spacing, piecing designs, color values, quilting techniques, you know you’re on the right track! 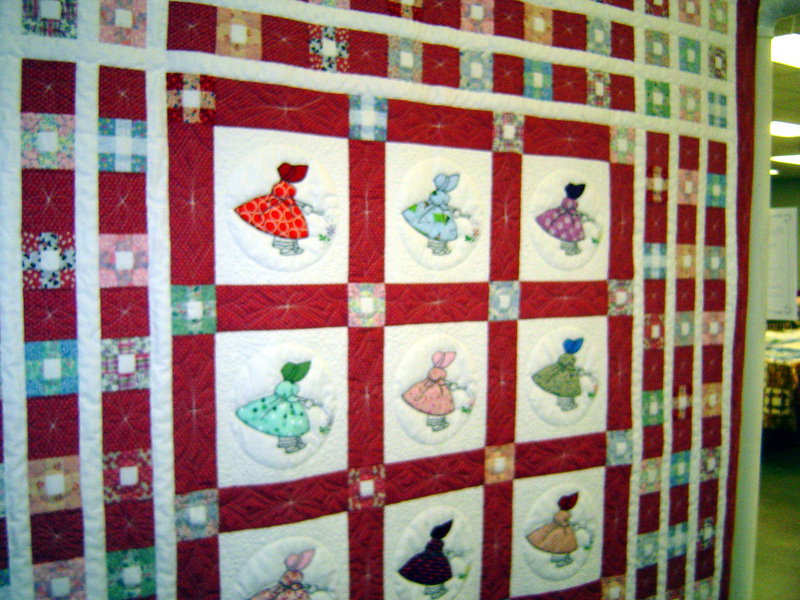 You can borrow … err … be inspired by quilting designs, piecing designs, color combinations, new techniques to try. Looking at the vendors, you want to try to buy things you wouldn’t be able to get elsewhere. This could be completed projects, specialty dyed fabrics, or services that you wouldn’t think of. 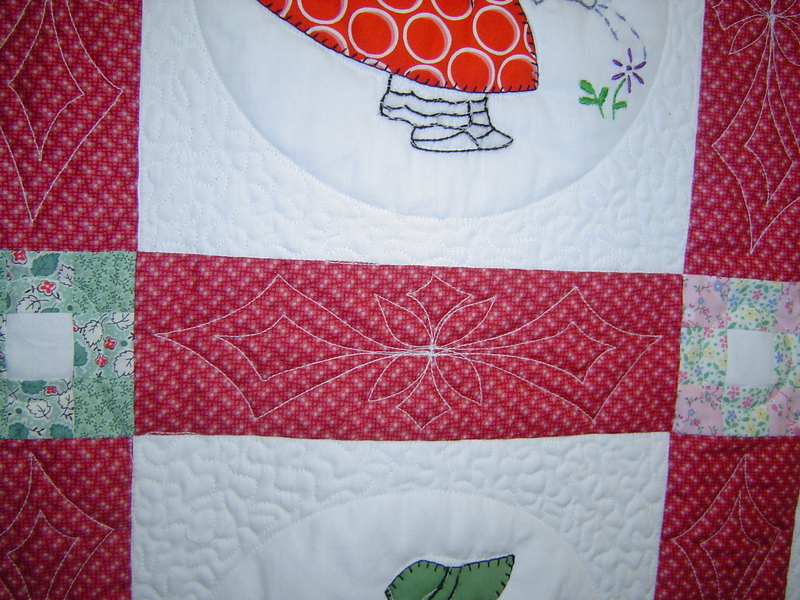 Close up of sashing quilting. Can I try something like this too? 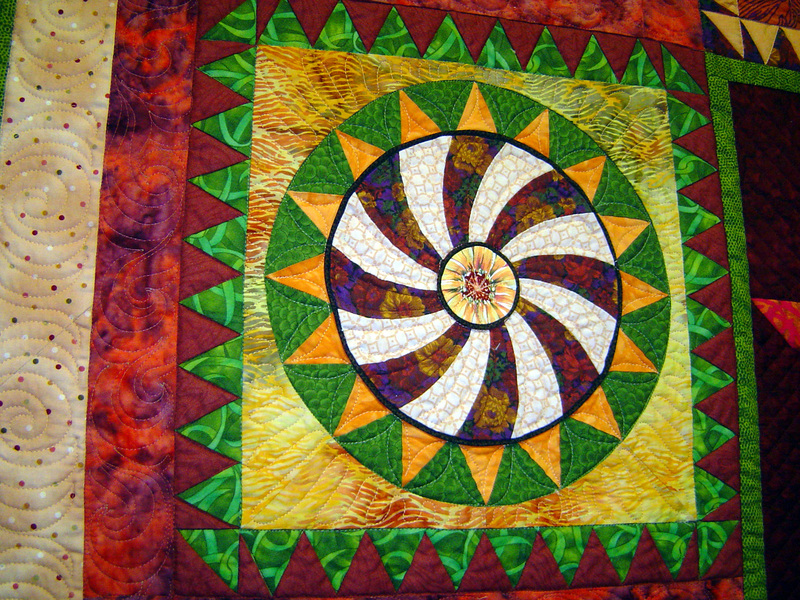 Each circle is highlighted by a small black fabric edge just under the piecing for the circle. Subtle, but very effective! These flowers are highly embroidered on the pieced fabrics. 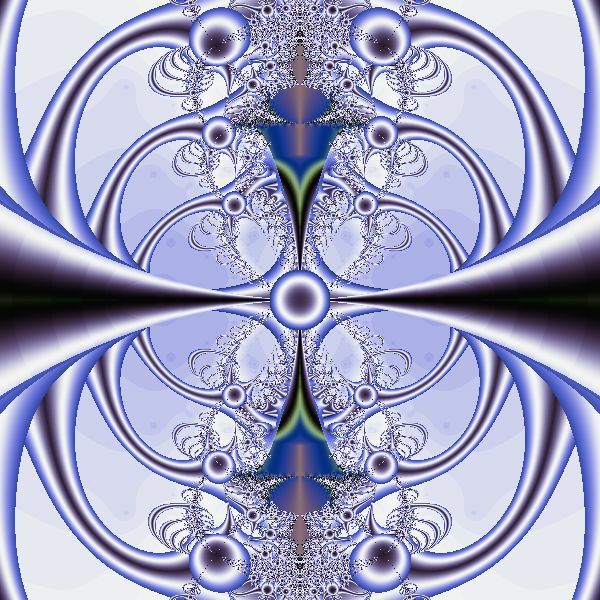 A peek at a few more fractal pictures from the computer programs. 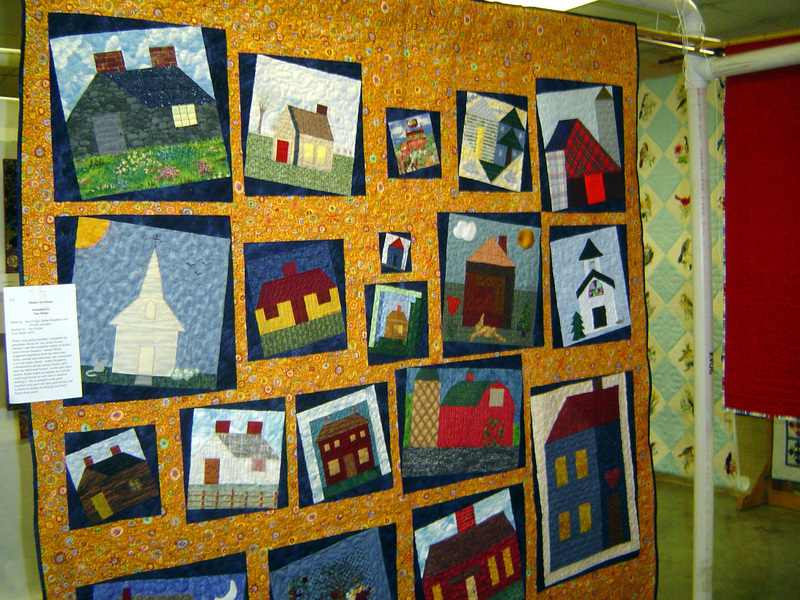 Beverly St Clair shared with me a pdf from a phD candidate from the Netherlands who also completed a DNA Quilt. The artist’s name is Marielle Otter and here is the pdf to share with you. I’d have to learn more science to know exactly what happens in a methylated DNA sequence. I know that a methyl group is a carbon and hydrogens, so it likely is about a change to the DNA sequence. Sally from Palofish Adventures in Fabric has shared some great show ideas and is willing to collaborate on a few upcoming projects. Check out her blog and patterns! Book Review – Get out your Retro Glasses! I found a wonderful book Super Quilter II, which is a sequel written in 1983 (yes 83!) that is a wonderfully complex book with lots of diagrams and math and tables for advanced quilting techniques. Love it from a mathematical background! This is from the era pre-rotary cutters, and describes the idea of why templates are not the same thickness as your sewing lines (much like Brye’s quarter inch podcast episode, and Sarah’s Stash Resolution episode 4) and how to mark your sewing lines on the fabric. 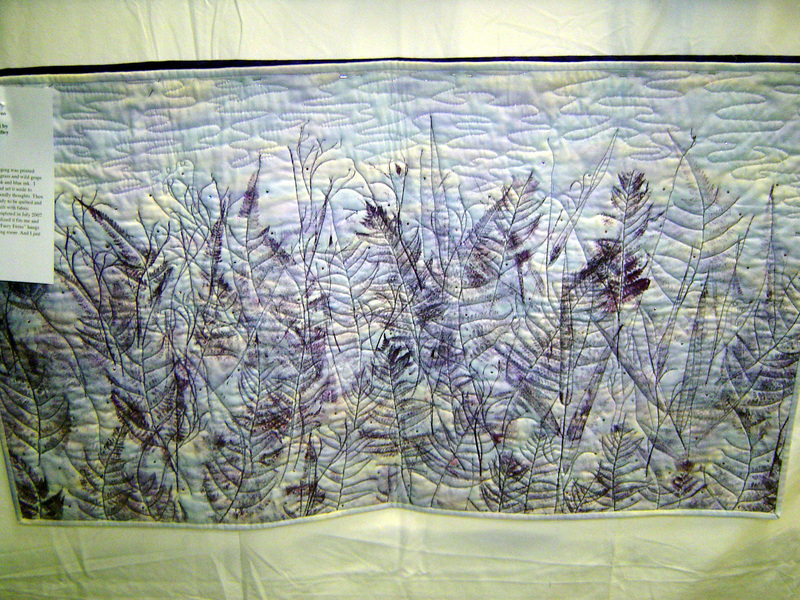 The original work by Carla Hassel You Can be a Super Quilter. I haven’t tried out, but here is the link for it on amazon anyway. Ethel, Lynn, Lady Rags, Janet, Gretchen, Bonnie, KellyV, Sarah, Jill, Robyn, Sally, Vicki, Beverly, and all the Big Tent gang! This Christmas I have 3 (4) ornaments to share with you. One chemistry, one yarn, and two fabric wreaths (variations on the same idea). Growing crystals from super saturated solutions is something that you can do easily with household products. A supersaturated solution is one that you force a liquid (typically liquid solvent) to dissolve more solid (called a precipitate solute) than it typically can hold. Most of the time, heating a solution can force the solution to dissolve more solids, and then as the solution cools, the solids come out of solution – sometimes in the form of crystals. Alton Brown says that even fudge is a crystal structure, so crystals are found everywhere this time of year. 2. 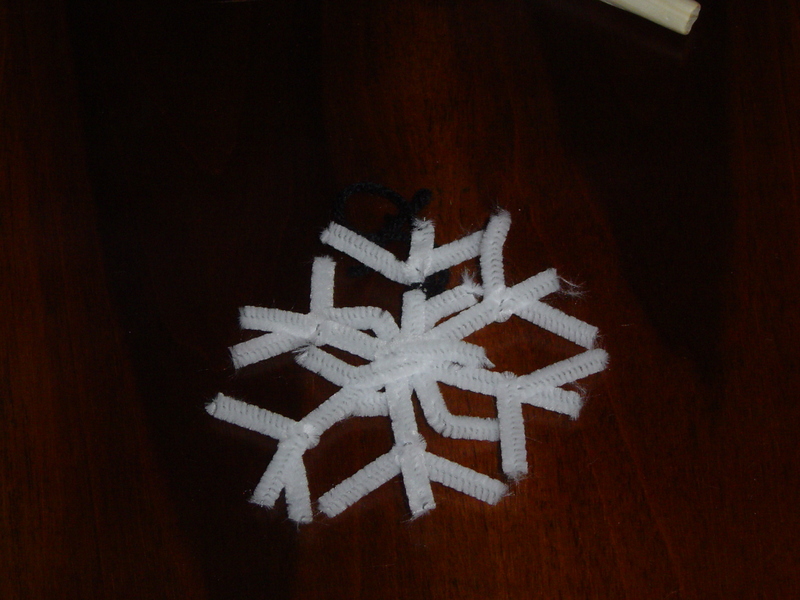 Tie your fishing line or string around one side of the snowflake. 3. Place the pencil across the top of the jar such that your ornament hangs in the jar without touching the bottom. 4. Any snowflake too high up will not have water on it, and thus may not form crystals. Make sure the sides don’t touch the jar either for more perfect crystals. 5. Remove the snowflake once you get it to the right height in the jar. 6. Add water to the jar near the top (or you can put this in a microwave safe measuring cup that holds the same amount of water as the jar). 7. Microwave for at least three minutes. If you’re worried about superheating your water, place a chopstick in the water as it sits in the microwave. 8. Use a hot pad or towel to CAREFULLY remove the jar from the microwave. 9. Add borax crystals until you can’t get any more to dissolve and start to see borax staying on the bottom. This takes a lot of stirring and a lot of patience. I had to remelt my crystals after the first night because I was too impatient and I thought I had enough borax the first night. 10. Keep adding and stirring, and if you need to, carefully pour off some of the excess water so you don’t spill over onto the floor. Remember that the snowflake is also going to displace some of the water so you may have more liquid than you realize. 11. Add the food coloring to the jar, and then put in the snowflake into the jar. (the following picture shows too little borax dissolved to get a good result. Add more borax than this. 12. Wait overnight at least for the solution to cool to room temperature. If you have multiple jars / snowflakes you could try putting one in the fridge (be careful!) to see what type of crystals form. Crystals forms differently with different amounts of starting temperatures and cooling rates. 13. Take a paper towel and place the completed crystal on the paper towel giving it time to dry. This snowflake you can see a little bit of blue tint to it with lots of crystals. The dragon boat ornament from Jennifer Ackerman-Heywood at CraftSanity. I had black yarn available, and I used a piece of cardstock and cut out her template on her site. Take a styrofoam wreath shape – cut out from various styrofoam leftovers from presents! Repeat for all the fabric pieces around the outside of the wreath. This particular wreath is a little messy. With more time and patience, these can look quite nice. Brye Lynn at Sew Stitch Create – thanks for the great review Brye! One christmas memory from each of the people in my immediate family that is no longer with me. 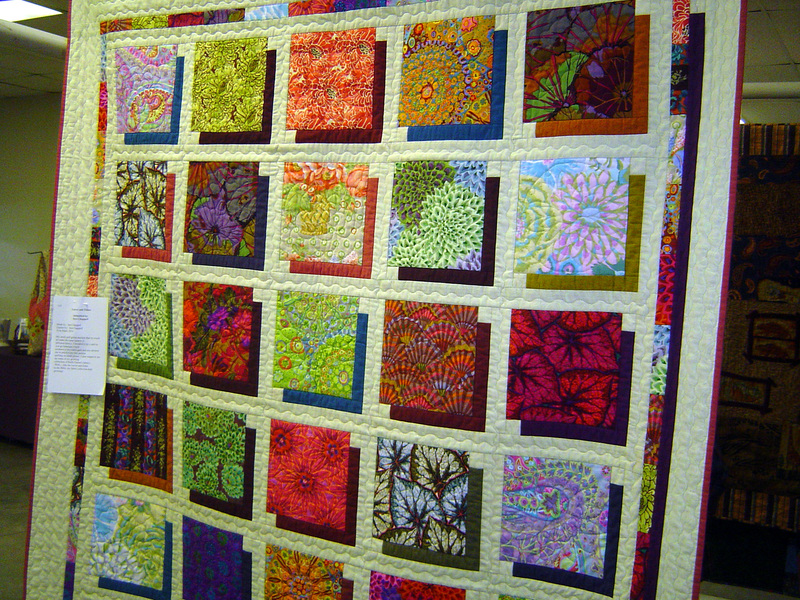 All the quilting sites – okay not ALL of them – most of the quilting sites have people who are dabbling into crochet / knitting / other fiber arts. I used to cross stitch – probably the first “type” of craft I gravitated towards and stuck with. However when I was young – before learning to cross stitch, a friend of mine taught me how to chain stitch crochet. I remember just making one long chain of a variegated rainbow yarn. But I was ittle and didn’t know how to go back and single or double crochet. So in college, one of my (scientific) roommates taught me how to single and double crochet. She was working on granny squares. Well the following summer I tried making granny squares. I got about 4 of them done, had problems seeing how it was all going to come together in a large blanket form, and I abandoned the project. I (somehow) forgot about my biggest crochet project that I started the following school year that was a crocheted afghan intended to be for my upcoming wedding. Well it was for myself so it didn’t HAVE to be done by the wedding, had nothing to do with the wedding, but that was a goal of mine – to finish it before I got married. I worked on it before falling asleep in the bunk bed in the dorms, worked and worked and worked on it. Cheap yarn – hey I was a college student – didn’t count the rows or the stitches, didn’t have a pattern, couldn’t read a pattern, didn’t have a final plan, but I would come up with one for each row. I don’t know why I have it in storage. It’s nice and heavy, and extra long, and not quite the size I imagined it would be when I made it. 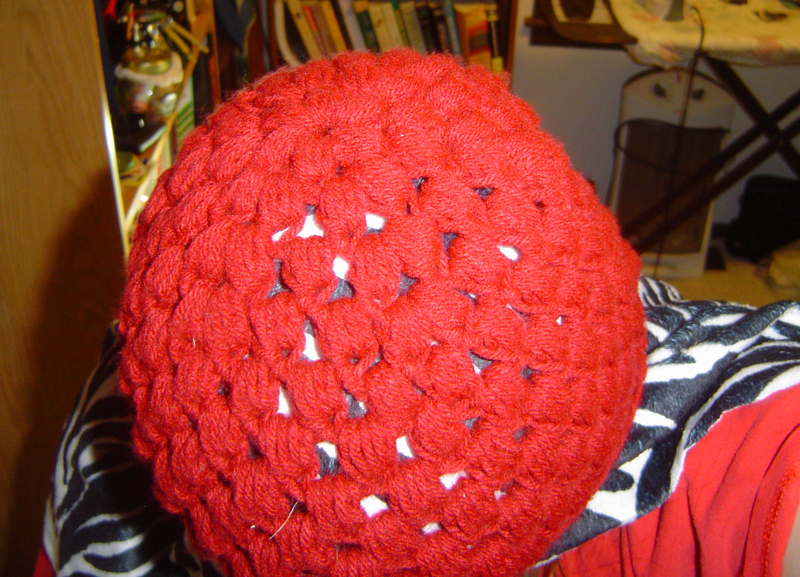 The edges are all frilly and weird, going in and out, and there was a triple crochet row that I skipped three stitches periodically and the resulting holes from that row mean that when I sleep under the afghan my big toe gets caught in the hole. Hmm. Maybe I do know why it’s in storage after all. (So far in storage that it’s not worth digging though the bottom of my closet and everything in front of the closet to get a picture. Maybe someday). After that, I got smart and worked on homespun yarn that is bumpy and completed two scarfs that are full and heavy and wonderful. I found the bumpy yarn wasn’t as hard to work with as I thought, and it HID the fact that my stitches are uneven on the sides from lack of counting. 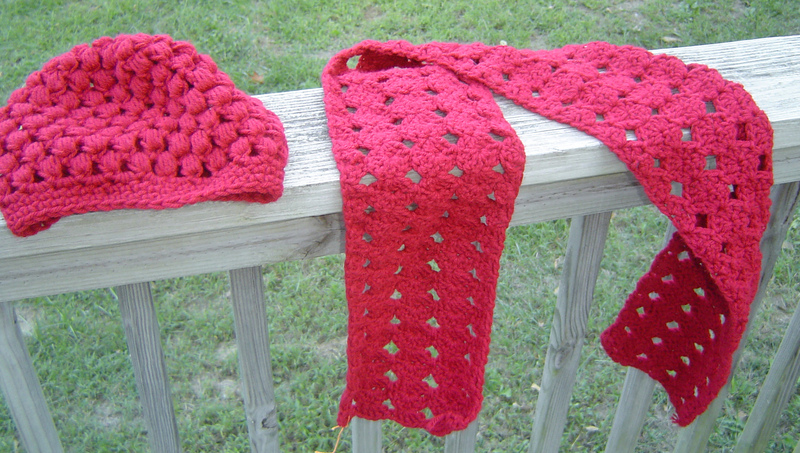 I am still not sure why no pattern or no counting was done on the scarfs. 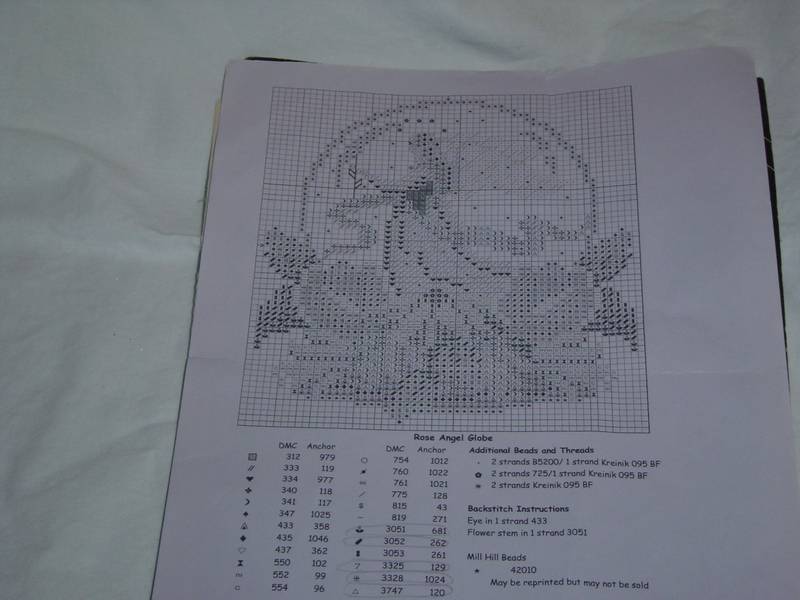 I did counted cross stitch at the time completing one project in about 2 years that had tons of stitches in it. And I had to count that project. I thought I’d share. Not all my adventures have been done in a well planned thought out scientific manner. You are currently browsing the archives for the Other Fiber Arts category.